ELMONT, Long Island (WABC) -- A serial robber on Long Island has struck again overnight Monday. 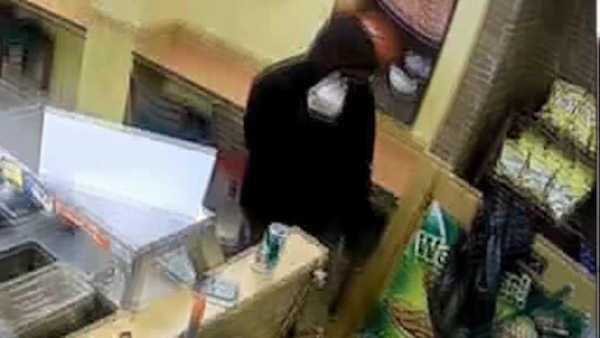 According to the Nassau County Police Department, around midnight Tuesday a man armed with a large kitchen knife, entered Dunkin Donuts on Linden Boulevard in Elmont. This is at least the 13th time the same suspect has targeted a business on Long Island, police said. On Tuesday, he approached the counter area and told an employee to open the cash register, police said. He took an undisclosed amount of money, then fled and was last seen on foot heading northbound on 238th Street. The suspect is described as a black man, about 25, 6 feet tall, 170 lbs. He was wearing a dark-colored hooded jacket, blue jeans and tan work boots. He also had dark sunglasses on, a dark-colored cloth across his face and gloves. None of the four employees at the store at the time was injured.